Annapolis, MD – Maryland’s award-winning website, www.Maryland.gov, was recently honored with a 2017 Gold Hermes Creative Award and a 2016 Gold Horizon Interactive Media Award in the Government Website category. Winners of the Hermes Creative Award and Horizon Interactive Media Award are recognized world-wide on a global stage as the top designers and developers of websites, mobile apps, videos, and more. Hermes Creative Awards and Horizon Interactive Media Awards are two of the most prestigious awards in the field of interactive and creative media. The international competitions recognize outstanding execution of industry trends and those who are able to stay on the cutting edge of technology while maintaining a high bar for visual design. This year, the Hermes Creative Award boasted over 6,000 entries from around the world administered by the Association of Marketing and Communication Professionals, an international organization consisting of several thousand marketing, communication, advertising, public relations, digital media production, and free-lance professionals. The Horizon Interactive Media Awards judged over 1,200 entries from around the world, including 40 of the 50 United States and 20 countries. Maryland.gov’s engaging design is based on a combination of analytics, surveys, customer service data, focus group feedback, and industry best practices. Maryland.gov was developed with a mobile-first approach and utilizes responsive design techniques for flexible display on smartphone, tablet, desk, or laptop devices. Visitors can easily access hundreds of time saving online services and agency sites, including more than 300 social media channels. Maryland’s innovative social media strategy promotes social engagement by deeply integrating Twitter feeds throughout the site. This approach provides meaningful updates and information relative to the section of the site being visited, delivering a best-in-class communications platform. A prominently placed search box utilizes predictive text to dynamically update results while the user enters a search term. Results are categorized by online services, publications, maps as well as all portal content to quickly locate information across the enterprise of Maryland government. Maryland’s use of GIS state data mash ups within the Near You geo-location mapping service integrates the Motor Vehicle Administration’s queue system with office locations to display current wait times at branch offices. State park, agency locations, and even state jobs are visibly displayed using this citizen-centric feature. Maryland.gov is truly cutting edge, putting citizen’s needs at the forefront of design. 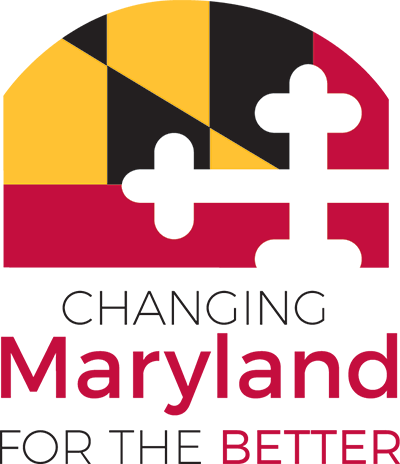 The Maryland.gov website was developed for the state of Maryland at no cost by NIC Maryland, through the self-funded digital government services contract with the State Department of Information Technology (DoIT). NIC Maryland builds, operates, maintains, and markets the official website of the state of Maryland, www.maryland.gov and its digital government services. NIC Maryland is a collaborative public/private partnership managed by the Department of Information Technology (DoIT) and NIC Maryland. NIC Maryland helps Maryland state and local government entities web-enable their services and operates without tax funds through a self-funded digital government services contract. NIC Maryland has developed dozens of digital government products and services for the state of Maryland since the contract was awarded in August 2011. Founded in 1992, NIC Inc. (NASDQ: EGOV) is celebrating 25 years as the nation’s premier provider of innovative digital government solutions and secure payment processing, which help make government interactions more accessible for everyone through technology. The family of NIC companies has developed a library of more than 12,000 digital government services for more than 4,500 federal, state, and local government agencies. Among these solutions is the ground-breaking digital government personal assistant, Gov2Go, delivering citizens personalized reminders and a single access point for government interactions. More information is available at www.egov.com.